POLICE have launched a fresh appeal trace a suspect after an arson attack that caused almost £1m of damage to businesses in Leeds. POLICE have launched a fresh appeal trace a man they want to speak to in connection with an arson attack that caused almost £1m of damage to businesses in Leeds. Detectives want to speak to Peter Neil Cheetham in relation to a fire that caused extensive damage to businesses at Ratcliffe Mill in Tong Road, Farnley, in the early hours of Tuesday, January 23 2017. Officers have been carrying out extensive enquiries to trace him after he was identified as a suspect but have so far been unable to locate him. 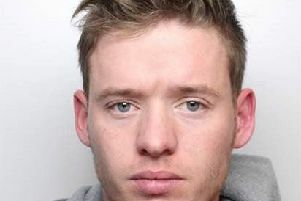 Cheetham, aged 23, is local to the Seacroft and East End Park areas of Leeds. He also has connections to the Hyde Park area. Anyone who has seen him or who has any information that could assist officers is asked to contact Leeds District CID via 101 quoting crime reference 13180036668.